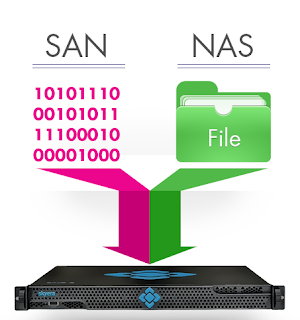 There are basically two types of technologies that are popular with storage systems – File level storage which are popular with NAS Systems & Block level storage which are popular with SAN systems. In this post, we will see what they are, and the advantages of File Level Storage systems Vs Advantages of Block Level Storage systems. What is a File Level Storage System? A File Level storage system is the most common storage system that we find with our hard-drives, NAS systems, etc. In this type of storage, the storage disk is configured with a particular protocol (Like NFS, etc) and files are stored and accessed from it as such, in bulk. 1. File level storage system is simple to implement and simple to use. 2. It stores files and folders and is visible as such, to both the systems storing the files and the systems accessing it. 3. File level storage systems are generally inexpensive, when compared to block level storage systems. 4. 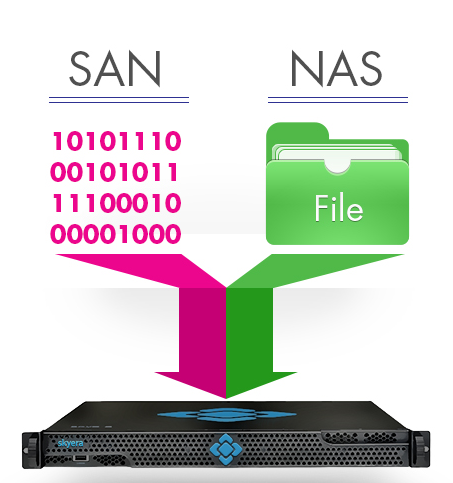 File level storage systems are more popular with NAS based storage systems – Network Attached Storage. 5. They can be configured with common file level protocols like NTFS (Windows), NFS (Linux), etc. 6. File level storage systems are well suited for bulk file storage. 7. The file level storage device itself can generally handle operations like access control, integration with corporate directories, etc. What is a Block level storage system? In Block level storage systems, raw blocks (storage volumes) are created and each block can be controlled like an individual hard drive. Generally, these blocks are controlled by the Server based Operating Systems. Each block/ storage volume can be individually formatted with the required file system. 1. Block level storage systems offer a better performance/ speed than file level storage systems. 2. Each block / storage volume can be treated as an independent disk drive and are controlled by external Server OS. 3. Each block / storage volume can be formatted with the file system required by the application (NFS / NTFS / SMB , etc). 4. Block level storage systems are very popular with SAN – Storage Area Networks. 5. Block level storage systems are more reliable, and their transport systems are very efficient. 6. Block level storage can be used to store files and also provide the storage required for special applications like Databases, VMFS (Virtual Machine File Systems), etc. 7. They can support external boot-up of the systems connected to them.